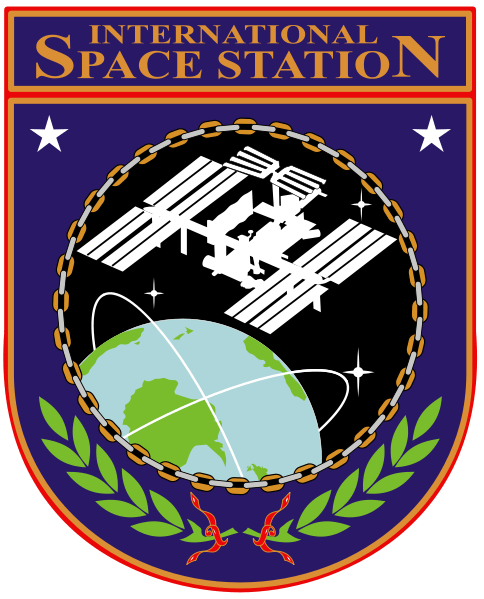 The international space station (ISS) is a habitable artificial satellite in low Earth orbit. It is the latest and largest in a line of previous space stations such as Skylab and Mir. The ISS is a modular structure and the first module was launched in 1998 and many more modules, trusses, solar arrays and other elements have been added since. The station is just over 72 m long by just over 108 m wide and 20 m high; it is maintained at an orbital altitude of between 330 km (205 mi) and 410 km (255 mi) it travels at an average speed of 27,724 kilometres (17,227 mi) per hour and completes 15.7 orbits per day. Orbital boosting when required can be performed by the station’s two main engines on the Zvezda service module, or Russian or European spacecraft docked to Zvezda’s aft port. The structure is so large and reflective it can often be the brightest object in the sky and can be seen with the naked eye. There is a guide on how to see it coming soon. The ISS components have been launched by American space shuttles as well as a Russian Proton and Soyuz rockets, with European space agency automated transport vehicles (ATV) and Japan’s (HTV) operating as supply ships. Soyuz manned spacecraft also serve as lifeboats for emergency evacuation. Participant nations include the United States of America, Russia, Japan, Canada and 11 member states of the European space agency (Belgium, Denmark, France, Germany, Italy, the Netherlands, Norway, Spain, Sweden, Switzerland and the United Kingdom). Other nations are involved with the project through partnering of some of the nations. The ISS serves as a microgravity and space environment research laboratory and factory in space, in which crew members conduct experiments in biology, human biology, medicine, physics, astronomy, meteorology and other fields. The station is suited for the testing of prolonged exposure to life in space, spacecraft systems and equipment required for missions to the Moon and Mars and asteroids. The ISS provides a platform to conduct scientific research that cannot be performed in any other way. While small unmanned spacecraft can provide platforms for zero gravity and exposure to space, space stations offer a long term environment where studies can be performed potentially for decades. There is ready access by human researchers over periods that exceed the capabilities of manned spacecraft. 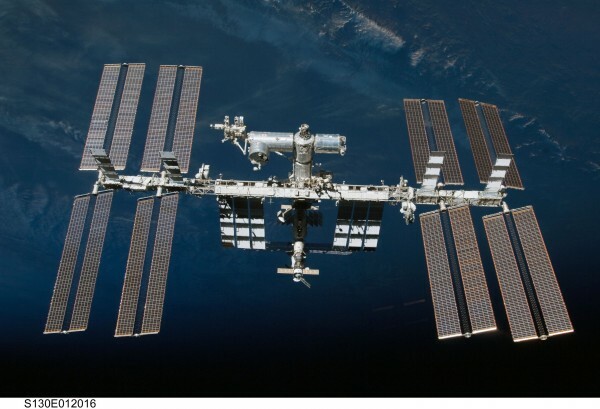 The ISS is expected to remain in operation until at least 2020, and potentially up to 2028. Decommissioning will involve re-entering the station into the Earth’s atmosphere making it burn up and crash into a non populated area or ocean. Some of the Modules may be removed from the station and used as a foundation for a new type of Space Station. Does the ISS always have a crew and how do we find out who is in there or what countries have crew aboard? Yes it does. There are usually 6 crew members onboard from Russia, USA and other countries. You can find out the current mission and who is onboard on the NASA website. hi thanks for all the info ,I have wrote the info in my diary .I really enjoyed watching the space station with my family last night. We are going to watch it again tonight . We’ve now seen 3 great passes on 11th, 12th and 13th – and have some shaky iphone video to show for it! 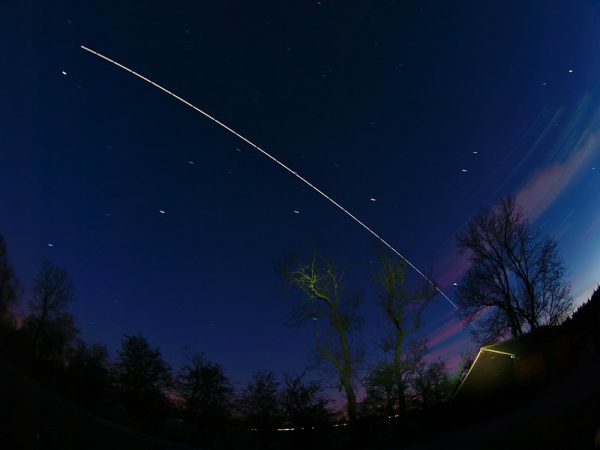 Question though – on the 11th, my wife, who is extremely long sighted pointed, out a small point of light which seemed to be trailing the space station – definitely a satellite, what surprised me was that it appeared to be close (1 – 2 x moon diameters) and travelling at the same speed (same orbit?) Could this have been the Progress M-23M that apparently undocked on the 7th and is due to de-orbit over the Pacific 11 days after that? (http://www.nasaspaceflight.com/2014/04/progress-m-23m-fast-launch-to-iss/) It would be incredibly exciting – my wife said, tongue in cheek, that it was probably ‘excess baggage’ – might she have actually been correct?! ?